Until March 2018 Get Huge Trade In Value towards the TC1! Did you know that most TriCasters have up to $6,000 in trade value towards the newest generation TC1 TriCaster? Contact an EAR product specialist today about this very special time sensitive offer! If you’ve been waiting for the “next” big thing from Newtek, or really anyone – the wait is over. 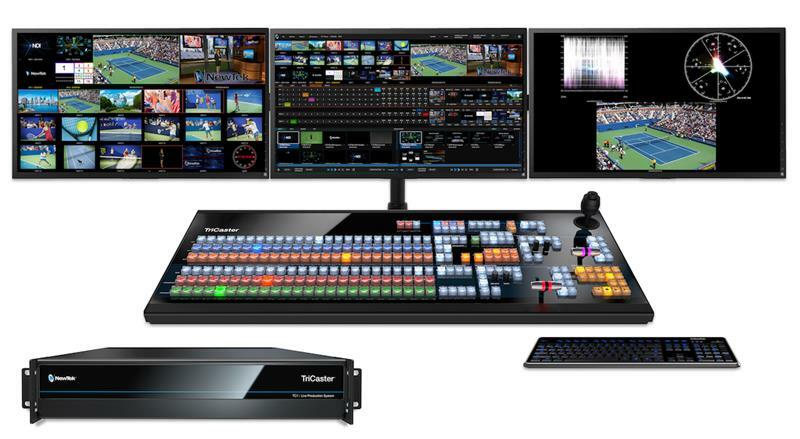 The TC1 series is a complete production system with 16 inputs, integrated multi-channel Skype calling, that will stream and publish anywhere, all in 4K UHD, 60p, with IP inter-connectivity. Upgrade Specials for existing TriCaster Users! Sales Tax Extra? (Let’s talk!) ? ? ?